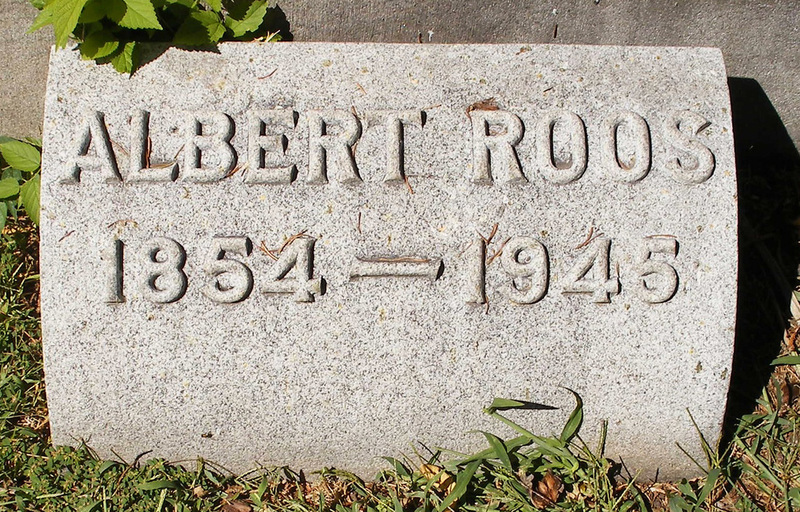 Albert Roos, Sr., banker and Forest Park civic leader. Born April 18, 1855, Hamburg bei Zweibrucken, the Rhenish Palatinate; died February 27, 1945, Forest Park, Illinois. 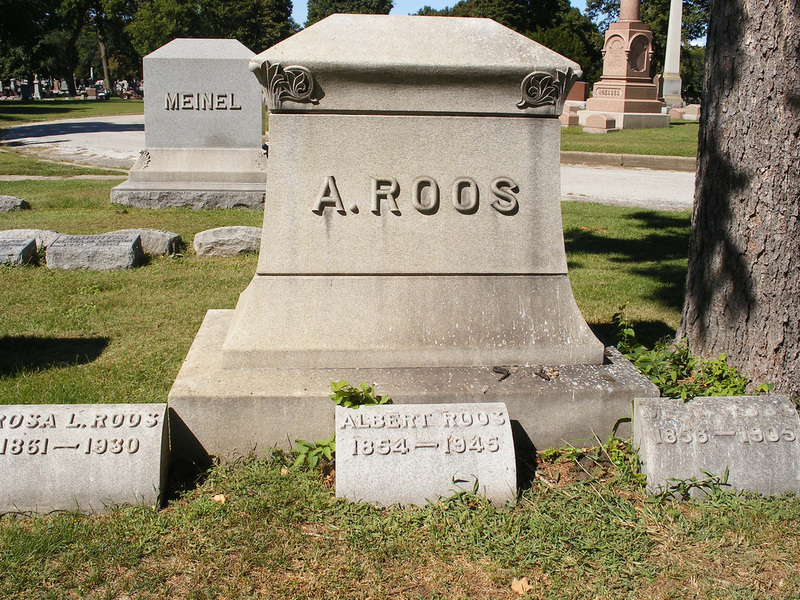 Albert Roos came to Chicago from Germany in 1867. 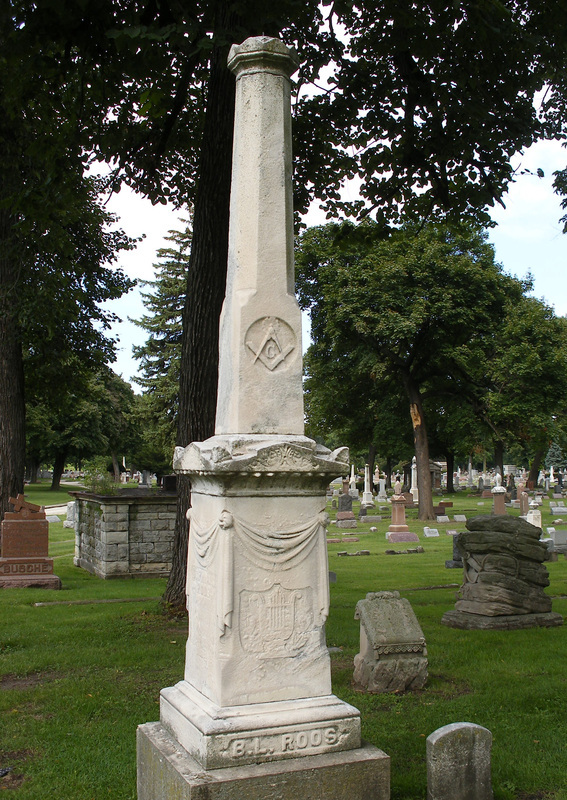 His father, Bernhard L. Roos, was one of the organizers of Waldheim Cemetery and its first superintendent. Albert learned the printing business by working for the Illinois Arbeiter-Zeitung, a leading German-language newspaper, first as a typesetter and then as a police reporter. In 1882, he joined his brother Edward in business. 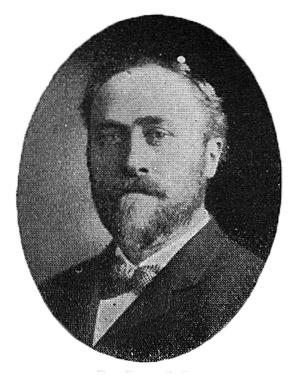 In 1897, Albert Roos and George Schrade, the president of Harlem (Forest Park), started a private bank under the name Roos and Schrade. They built a stone-front building on West Madison Street and specialized in real estate, loans and insurance. 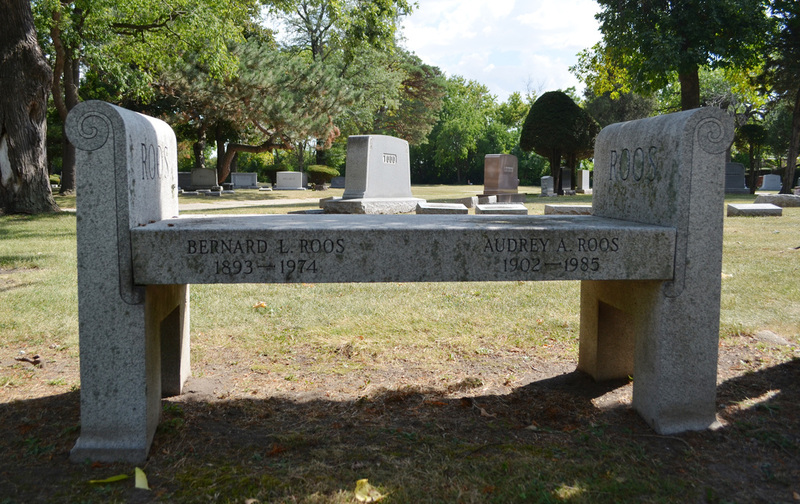 Schrade retired in 1900, and in 1905, Roos' sons, Albert C. and Fred B., joined the bank. Albert C. served as cashier and bookkeeper, and Fred B., who was also the village attorney and a state legislator, served as legal head of the firm. By 1906 the bank was called the Harlem Savings Bank. It merged with the Harlem State Savings Bank to form the Forest Park State Bank in the early stages of the Depression, but the bank failed in 1931. Albert Sr. served as president of the Board of Education for two years, as village trustee for three years, and as village collector for a number of years. He and his wife were active members of the community who served as officers of several benevolent and social organizations. 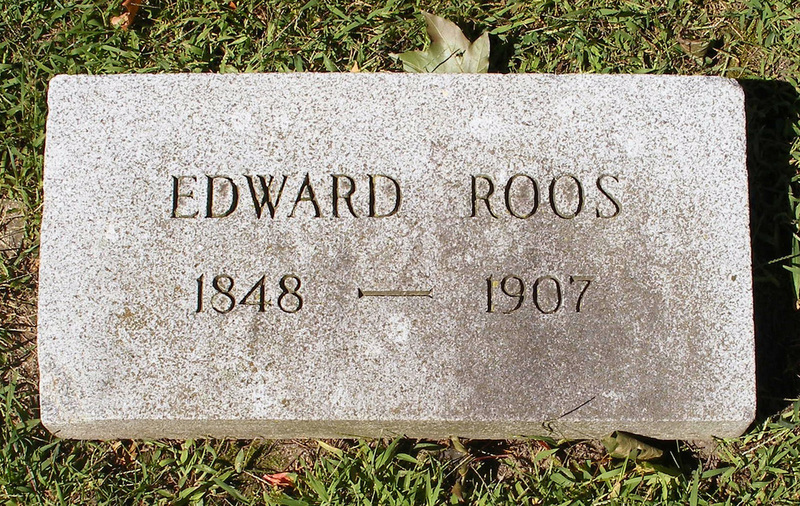 Edward Roos had come to Chicago in 1865 and worked as a lathe operator in a furniture factory. In 1871, he established his own lathe works, but it was not successful and he turned the business over to his partner. Two years later, he established the Roos Manufacturing Company which produced curtain poles and other household furnishings. Eventually, cedar chests became a specialty of the firm, which had a large factory in Chicago. 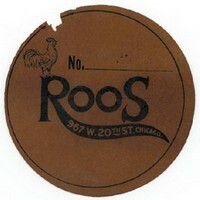 A later factory, at Harrison Street and Circle Avenue in Forest Park, was built in 1918 and still bears the Roos name carved in stone.